The SusChem Board manages the technology platform’s overall strategy and activities. Its members are drawn from SusChem’s main stakeholder groups. The full board meets four times a year, usually in Brussels. In addition, teleconferences and other virtual meetings of board members involved in specific tasks take place regularly. The business of the SusChem board is supported by the SusChem secretariat based in Cefic in Brussels. The Chairman of the board is elected by board members and usually serves for a two-year term. Dr. Markus Steilemann is the current chairman. Markus Steilemann is the Chairman of the SusChem Board. He has been Chief Executive Officer of Covestro since June 2018. His area of responsibility covers all commercial functions, including the three divisions Polyurethanes, Polycarbonates and Coatings, Adhesives, Specialties. In addition, central areas such as strategy, personnel and communications fall within his remit. Click here to read Markus Steilemann's full biography. Pierre Barthélemy obtained his PhD in chemistry from the University of Liège, Belgium, in 1987, in the field of lanthanide coordination chemistry, followed by one year of postdoctoral research at Florida State University. He joined Solvay in 1988 in Brussels, Belgium, and moved to various R&D, management and senior leadership roles. Click here to read Pierre Barthélemy's full biography. Deirdre Black obtained her PhD in theoretical particle physics from Syracuse University, New York in 2001. She held postdoctoral positions at the American Association for the Advancement of Science and Jefferson National Lab, followed by a research fellowship at the University of Cambridge, before joining the Royal Society of Chemistry in 2011. Click here to read Deirdre Black's full biography. 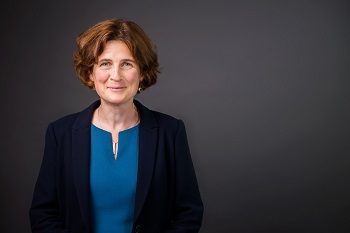 Agnes Borg has worked as Director for Industrial Biotechnology at EuropaBio since September 2018, prior to which she was Manager for Industrial Biotechnology – a role which she took on in December 2015. Agnes works with the aim to improve understanding, awareness and development of a more enabling policy environment for Industrial Biotech and bio-based products in Europe. Click here to read Agnes Borg's full biography. 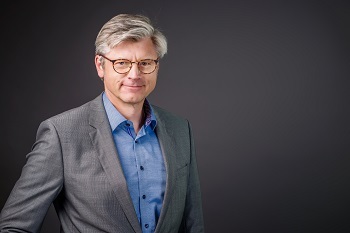 Andreas Falk, MSc is CEO of BioNanoNet Forschungsgesellschaft mbH (BNN). He studied biomedical sciences and business administration (University of Graz) and has been involved with more than 20 completed or ongoing national and European projects in the thematic fields of medicine, nanotechnology, nanotoxicology, nano-health, sensor solutions, and sustainable chemistry. Click here to read Andreas Falk's full biography. Andreas Förster studied chemistry and received his doctorate in physical chemistry from the University of Würzburg in 1997. 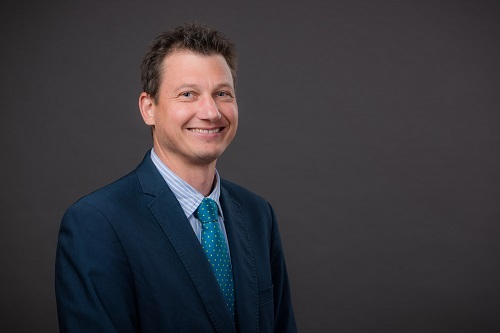 Since 1997, he has been an employee of DECHEMA, the German Society for Chemical Engineering and Biotechnology, where he heads the Department for Research Coordination and Conferences. Click here to read Andreas Förster's full biography. Dr. Marijn Goes holds a PhD in (Physical-Organic) Chemistry from the University of Amsterdam. He has worked in Academia (lecturing in Zimbabwe and Costa Rica), Industrial R&D (as manager of an International Technology Centre in PPG Coatings) and in a Governmental setting. Click here to read Marijn Goes's full biography. Ling Hua is the Senior Vice President and Head of Group Biotechnology at Clariant. She obtained her Ph.D. from Rice University in Houston, Texas. She joined BioCatalytics, Inc., a startup company in Southern California, where she and her team developed and commercialized more than 50 enzymes (biocatalysts) as screening kits for pharmaceutical companies. Click here to read Ling Hua's full biography. Klaus Kümmerer is a professor in Sustainable Chemistry and Material Resources at the Leuphana University of Lüneburg. His research and teaching is focused on sustainable chemistry, sustainable pharmacy, material resources and aquatic environmental chemistry including the ‘benign by design’ concept. Click here to read Klaus Kümmerer full biography. Ulrich Küsthardt graduated in Chemistry at the Johann Wolfgang Goethe University Frankfurt am Main, and has a Ph.D. in Chemistry from the TU Munich. From 1987 to 1993, he was assistant Professor for Bio-Inorganic Chemistry. In 2001, he joined Evonik-Degussa Aerosil & Silane division as President of the Aerosil & Silane Business Unit. Click here to read Ulrich Küsthardt's full biography. After graduating from Ecole Polytechnique, François Monnet obtained a PhD in Experimental Nuclear Physics and a Masters in Artificial Intelligence. He worked four years at Alcatel-Lucent’s corporate laboratories in AI, before joining Solvay to manage chlorofluorinated production and as plant manager in mineral and pharmaceutical chemistry. Click here to read François Monnet's full biography. 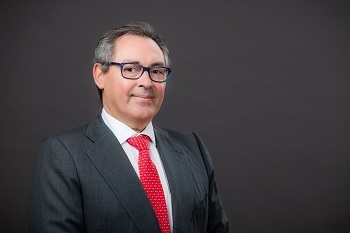 Now Executive Chairman and founding partner at Solutex, Fernando Moreno has been part of the agro food industry since the beginning of his professional career. He has acted in three of the most important companies in the European alimentary market, with responsibilities for expansion in the European and American markets. Click here to read Fernando Moreno's full biography. Jens Rieger received his PhD in Theoretical Physics in Germany. The same year he joined the Polymer Physics Department of BASF, where he was involved in R&D projects in the fields of plastics, coatings and paints, foams, cosmetics, pharma formulations, and detergents. Click here to read Jens Rieger's full biography. Uwe Stelzer obtained his PhD in chemistry from the University of Stuttgart, Germany, in 1991, in the field of chemo enzymatic synthesis, followed by one year research assignment at Stuttgart University. He joined BAYER in 1992 in Monheim, Germany, and moved to various R+D, Product Supply, management and senior leadership roles. Click here to read Uwe Stelzer's full biography. Rodney Townsend has been involved in SusChem at Board level from the beginning of 2005. From the beginning of 2008 until the end of 2010, Townsend was Chairman of the Board of SusChem and since then was first the lead Board member responsible for developing its Business Strategy and Vision to meet the challenges of Europe 2020. Click here to read Rodney Townsend's full biography. Tuulamari Helaja graduated with a Ph.D. in Chemistry from the University of Helsinki in 2000. 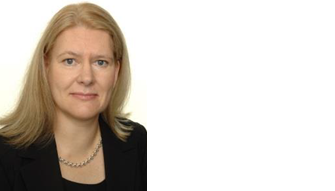 Following a post-doctoral fellowship at the University of Münster in 2000-2001, she joined Borealis Polymers to work on olefin polymerisation catalyst technologies. Click here to read Tuulamari Helaja's full biography.